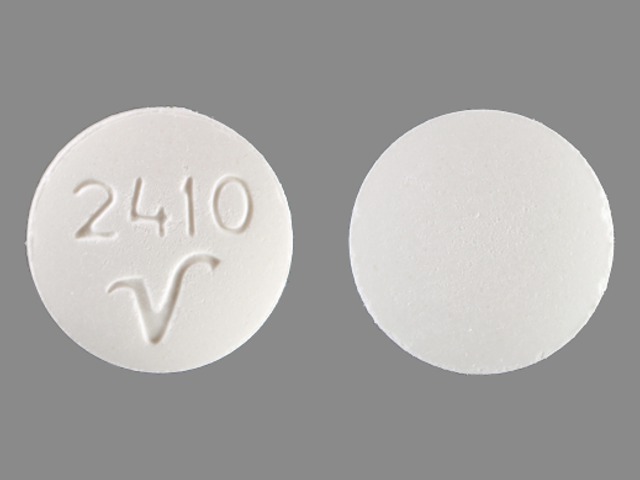 Carisoprodol is a muscle relaxant that is sometimes prescribed to treat musculoskeletal disorders (e.g. back pain). It’s also been used recreationally for decades, with its effects reminiscent to some extent of barbiturates, benzodiazepines, and ethanol. There’s been an increase in concern about its abuse potential since the 1990s. Some countries have responded by moving away from the substance. It’s intertwined with meprobamate, a drug it’s metabolized to. 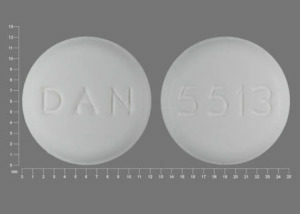 It’s sold as 250 and 350 mg tablets. 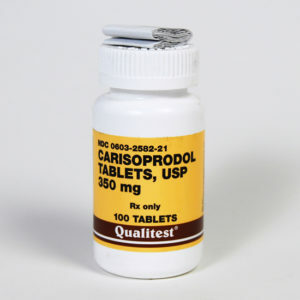 Carisoprodol is a centrally-acting muscle relaxant that’s taken for acute musculoskeletal disorders. It seems to reduce discomfort, but it’s only recommended for a few weeks. 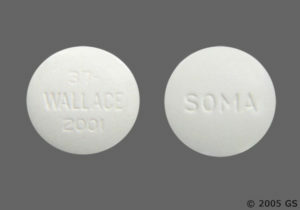 The drug is often used alongside rest, physical therapy, and NSAIDs. Taking it with NSAIDs may boost the overall efficacy, albeit while raising the chance of adverse CNS effects. It’s not recommended as a first-line treatment even though it’s been widely prescribed in some regions. The primary negatives in medical settings are drowsiness and psychomotor impairment. Early studies showed it could produce analgesia not seen with meprobamate. It also seems to increase the analgesic efficacy of opioids. One study in humans demonstrated an elevation of the pain threshold when undergoing tooth pulp stimulation. While 700 mg of carisoprodol produced an effect, 800 mg of meprobamate did not. Euphoria (cognitive and physical) is most prominent at strong+ doses. It usually offers more physical euphoria than benzodiazepines. A lot of the relaxation, physical impairment, anxiolysis, and euphoria is comparable to ethanol to some degree. Not everyone experiences positive effects. Even at high doses, some users primarily encounter depression, sedation, and some dysphoria. It’s regularly taken with other drugs, mainly depressants. This may lead to greater euphoria, relaxation, and sedation. But it’s also much riskier. A number of near-fatal and fatal cases have been connected to its use with opioids and benzodiazepines. 350 – 1050 mg is most likely to primarily cause relaxation and drowsiness, though the other aforementioned positives are possible. Those who take over 1400 mg (sometimes much more) more reliably report what some have described as a hypomanic state. It’s characterized by cheerfulness, disinhibition, socialization, physical euphoria, and sometimes psychomotor excitement (with impairment). It’s very similar to meprobamate and is structurally n-isopropyl-meprobamate. Both are carbamate derivatives. 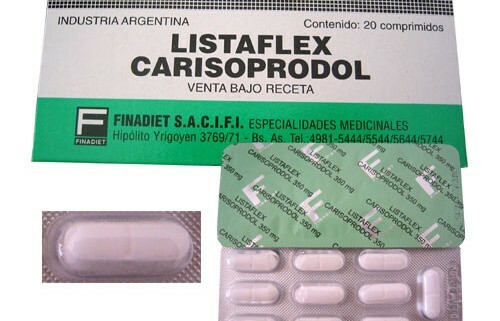 Carisoprodol is sold as a racemic mixture. A few mechanisms may be playing a role, but the most important activity occurs at GABA receptors. 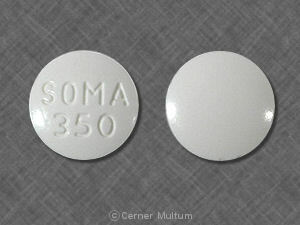 Part of the activity comes from carisoprodol itself and part comes from metabolism to meprobamate. Carisoprodol is associated with altered interneuronal activity in the spinal cord and descending reticular formation. As a centrally acting muscle relaxant, it doesn’t directly impact transmission at the neuromuscular junction (as opposed to tubocurarine, for example). The drug acts as a positive allosteric modulator (PAM) and a direct agonist at GABAa receptors. Different receptor complexes are affected to varying degrees, but it clearly affects a1b2y2, the most prominent configuration in the brain. It differs from benzodiazepines and barbiturates, and alternative binding sites seem to play a role. Some evidence suggests there’s one site for PAM and another for direct agonism. Studies in animals have shown flumazenil partially inhibits the drug’s activity. Pentobarbital and meprobamate can fully substitute for the discriminative stimulus of carisoprodol in animals. This is reportedly seen with meprobamate as well, but carisoprodol is more active and more potent. Picrotoxin can antagonize the activation, lending support to carisoprodol truly operating at GABAA receptors. Greater direct activation is seen at a2 receptors relative to a1 receptors, which are more abundant in the CNS. A3 is affected less than the other alpha subunits. The agonism is higher at b1 receptors, whereas PAM is greater at b2 receptors. 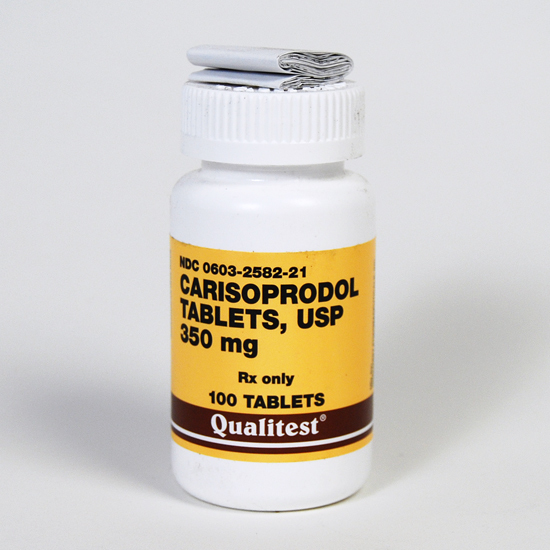 Carisoprodol’s agonist activity contributes to its more concerning effects in overdose. The fatal concentration may be as low as 140 uM, which correlates with the concentration associated with significant levels of direct activation. Modulation is present at a1b1y2 and a1b2y2 (among others), with the efficacy being higher at b2 receptors than b1. The efficacy isn’t affected by the presence of a gamma (y) subunit. PAM is greater at receptors with an a1 subunit. It still has notable effects on a2 and a2 receptors, but it isn’t selective for them. There’s more acetylcholine antagonism than with meprobamate, but it’s not significant. Adenosine reuptake inhibition appears to exist, which may contribute to the sedative action. Limited evidence suggests NMDA antagonist and pro-serotonin activity could exist. It is rapidly absorbed from the GI tract and distributed in the CNS. Cmax: It appears to be between 2 and 7 ug/mL following a 350 mg dose. One report showed a peak of 2.1 ug/mL. It dropped to 1.1 ug/mL by 3 hours and 0.24 ug/mL by 6 hours. The drug is metabolized in the liver primarily by CYP2C19. The metabolites include meprobamate, hydroxycarisoprodol, and hydroxymeprobamate. Meprobamate is active with an acute half-life of ~11.3 hours. One test showed 9/10 human participants extensively and quickly metabolized the drug to meprobamate, which was detectable within 20 minutes of a 700 mg administration. Meprobamate was greater than carisoprodol in serum by 2.5 hours. Frank M. Berger of Wallace Laboratories (later Carter-Wallace) created the drug. He was also part of the team responsible for synthesizing meprobamate, which became a popular pharmaceutical in the 1950s. A number of meprobamate derivatives were being created and tested, leading to the development of carisoprodol. 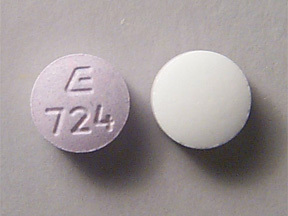 It was quickly found to have some unique pharmacological properties compared to meprobamate. Carisoprodol is introduced following FDA approval. 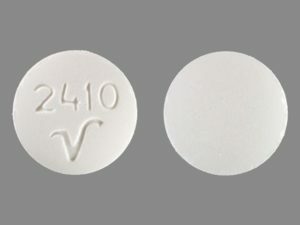 Papers described it as exhibiting some of the same properties as mephenesin and meprobamate. It was investigated in humans and animals, with it primarily being compared to meprobamate and other muscle relaxants. The drug was found to cause clear EEG changes in animals without leading to much sedation at low doses. In this respect it was likened to atropine. Some investigations found it to be an analgesic in certain situations, including in human trials. Most of the discussion about the substance suggested it had a low abuse potential and minimal risk of physical dependence. A report had appeared demonstrating the abuse potential, ultimately contributing to a rise in concern about its effects. Following reports documenting physical dependence and recreational use, concerns increased about carisoprodol. Yet, a paper found that just a small percentage of physicians understood carisoprodol’s prodrug status and they believed it had a lower abuse risk than meprobamate. It was ranked 18 out of 123 for drugs involved in emergency department (ED) visits in the US in 1998. More claims appeared of it being used to boost or change the effects of opioids and sometimes benzodiazepines, cocaine, and ethanol. Even though it wasn’t scheduled at the federal level, individual states began scheduling it. SAMHSA reported a doubling of nonmedical use between 2004 and 2008. The National Forensic Laboratory Information System listed it as one of the top 25 most abused drugs in the US in 2008. During the same year, ~10.5 million prescriptions were dispensed. A contributing factor to the rise in nonmedical use was the availability of carisoprodol from online sellers. Some countries (e.g. Sweden) moved away from using it. They either removed it from medical practice or further restricted its use. More regions, including US states, scheduled the drug. It became a Schedule 4 drug in the US following an apparent rise in misuse and adverse events. You should always check your local laws. This list may not be complete. It’s usually not controlled as an illicit drug, but prescriptions may be far less common than in the US. Some countries have taken it off the market. As usual, the negative effects at common doses are mild, such as drowsiness and impaired coordination. 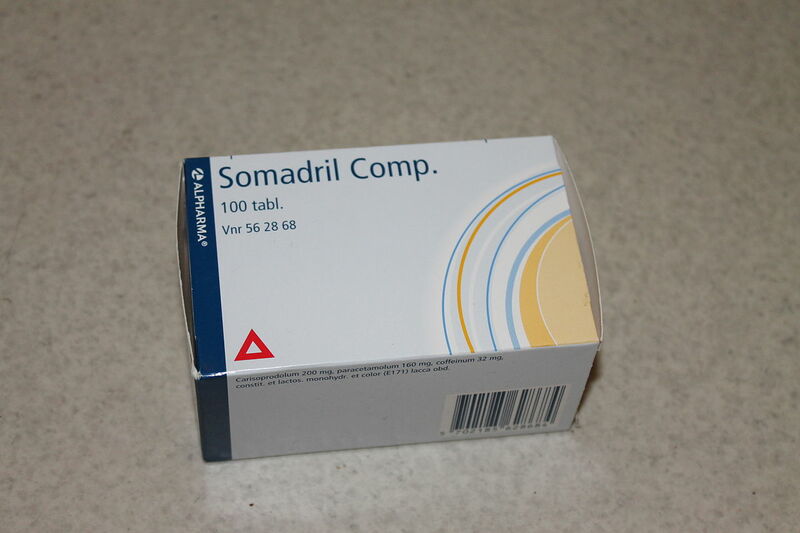 Taking a very strong dose can lead to coma, respiratory depression, amnesia, and even death. A smaller number of reports exist detailing agitation, seizures, movement disorders, and muscular rigidity. One hypothesis is that overdoses with effects like agitation and muscular rigidity might be carisoprodol-dominant and suggest less metabolism has occurred. Neuromuscular symptoms and evidence of myoclonus existed in 16% of overdose cases (29 of 176) in San Francisco during 1997. Most overdoses primarily feature CNS depression. It appears using over 12 grams is potentially life-threatening, though nothing near that should even be attempted acutely. She reported greater than normal use for the past week, especially in the past 2 days. Presented with lethargy, abnormal speech, and robotic-like movements. There was stupor, but she was arousable with tactile stimulation. Flumazenil (0.4 mg IV split in two) reversed all symptoms. Seizures and coma reported for 33 hours. 21 grams was taken with an unknown amount of chlordiazepoxide and temazepam. Found within 1 hour of administration. Unresponsive, mechanical ventilation required, tachycardia (130), and unresponsive to painful stimuli. Took 35 grams orally and was found on the floor by paramedics shortly thereafter. He was admitted to the ICU unresponsive, tachycardiac, and with significant muscular rigidity for 2 days. The neuromuscular symptoms were described as myoclonus, similar to what can be seen with very high doses of methaqualone. Attempted suicide with carisoprodol and acetaminophen tablets. Found unconscious, but she survived with medical attention. She had ordered the tablets from a website specializing in suicide-related information. Found unresponsive with an empty prescription vial near her. It was filled 3 days prior and contained 30 tablets. She also had a high concentration of verapamil. Found two carisoprodol vials and two propoxyphene vials. There was a high propoxyphene concentration. There is clearly the potential for severe withdrawal with chronic use. 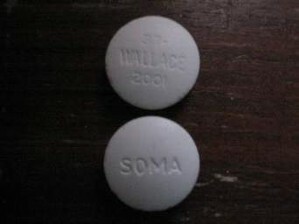 It’s connected in part to meprobamate, which accumulates with chronic use and has a longer half-life. It’s similar to what can occur with benzodiazepines and ethanol. The greatest chance of severe effects exists when abruptly stopping the drug. A fairly high incidence of hallucinations (mainly visual and auditory) has been reported. This fits with a report that claimed around 20% of meprobamate withdrawal cases feature hallucinations or other psychotic symptoms. The symptoms appear to peak 3 – 5 days after cessation and have sometimes lasted up to 8 days. An example timeline is having insomnia appear on the first night post-cessation, followed by psychosis by 36 – 48 hours. Anxiety, insomnia, tremor, hallucinations, and tachycardia are common symptoms. Seizures are possible. He was prescribed it for back spasms and found he liked the recreational effects. This led to buying more from a nonmedical source. There were two instances of withdrawal. He was using up to 30 tablets per day. He became suspicious, agitation, hallucinated small animals, heard voices, and saw flashes of bright light. This lasted for a few days. Anxiety, insomnia, and hallucinations were reported within 48 hours of stopping. Began self-treatment for chronic back pain via online orders. She ended up using up to 50 tablets per day. Eventually she abruptly stopped because she felt the drug was bad for her. She encountered confusion, insomnia, appetite reduction, anxiety, agitation, tremor, and auditory and visual hallucinations. She saw shadows, her fiance talked to her through the TV, she stared up at the night sky with arms outstretched, and she wandered at night for 3 miles. Her symptoms worsened for about a week, progressing from insomnia to psychosis. At the ED there was disorientation and she hallucinated people walking by her room. The withdrawal cleared up in 8 – 9 days. Took 25 tablets per day for months. She abruptly stopped the drug 3 days before presentation. Day 1: Anxious and jittery. Day 2: Tremor and hallucinations by evening. Before presentation she only slept one hour. The symptoms were dealt with over three days, partly with lorazepam and risperidone. Took 20 tablets per day for three months. Anxiety, tremor, muscle twitching, and insomnia. Hallucinated insects and flying things. She was paranoid about the police and authority figures. She ended up returning to carisoprodol, which fixed the withdrawal. This time she entered detox. She was given lorazepam 6 mg/d, reducing 10 – 20% per day. During the first three days she had a less severe version of what she experienced the first time. He had been using 8.4 grams per day. He stopped a few days before presentation due to running out. Presented with anxiety, distractibility, disorientation, and tremor. The symptoms worsened by the third day in the hospital. Tremor, agitation, confusion, tachycardia, hypertension, and visual hallucinations. Sedation was achieved with lorazepam and clonidine. He was fine by the sixth day in the hospital. He had been taking 10.5 grams per day (or more) for several weeks and abruptly stopped. Jittery, tremor, muscle twitching, hallucinations of family members, only a few hours of sleep. Greater hallucinations of places, insects, and a baby. He wandered around on an isolated road during the night and into the morning of Day 4. The voices were as clear as real ones. He had a conversation with a “large, colorful insect” that was crawling on the examiner’s leg. Decreased hallucinations by the evening. No hallucinations, 4 hours of sleep, nervous, tremor, and minor muscle twitching. Prisoners were taken off the drug over a period of 14 days. They had been using 700 to 2100 mg per day for up to nine months. They encountered anxiety, insomnia, irritability, pain, and headache. (2012) Carisoprodol tolerance and precipitated withdrawal. (2012) Carisoprodol: update on abuse potential and legal status. (2011) Ingestions of hydrocodone, carisoprodol, and alprazolam in combination reported to Texas poison centers. (2010) Carisoprodol legal status and patterns of abuse. (2010) Carisoprodol: abuse potential and withdrawal syndrome. (2010) Carisoprodol withdrawal after internet purchase. (2009) Carisoprodol-mediated modulation of GABAA receptors: in vitro and in vivo studies. (2008) Carisoprodol withdrawal syndrome misdiagnosed as a psychotic disorder. (2007) Is the frequency of carisoprodol withdrawal syndrome increasing? (2007) Carisoprodol use and abuse in Norway: a pharmacoepidemiological study. (2007) Abuse potential of carisoprodol: a retrospective review of Idaho Medicaid pharmacy and medical claims data. (2005) Treatment of carisoprodol dependence: a case report. (2004) Commonly used muscle relaxant therapies for acute low back pain: a review of carisoprodol, cyclobenzaprine hydrochloride, and metaxalone. (2003) Muscle relaxants for non-specific low back pain. (2003) Simultaneous determination of carisoprodol and acetaminophen in an attempted suicide by liquid chromatography-mass spectrometry with positive electrospray ionization. (2003) Carisoprodol – Effects on Human Performance and Behavior. (2002) Carisoprodol: an unrecognized drug of abuse. (2000) A review of three commonly prescribed skeletal muscle relaxants. 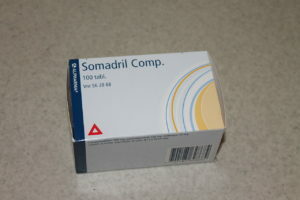 (2000) Flumazenil reversal of carisoprodol (Soma) intoxication. (1997) Barbiturate-like actions of the propanediol dicarbamates felbamate and meprobamate. (1993) Carisoprodol abuse: a report from India. (1990) Carisoprodol concentrations from different anatomical sites: three overdose cases. (1984) A purinergic component in the central actions of meprobamate.